Join me in raising funds and awareness for United Hatzalah of Israel. I am doing this In Recognition Of Adopt a United Hatzalah Volunteer . Please join us, the students of Barkai Yeshiva Middle School to raise funds in our mission to ADOPT A UNITED HATZALAH MEDIC IN ISRAEL! This sponsorship will cover the medic's equipment, training and other expenses for a year! United Hatzalah medics are all 100% volunteers and come from all walks of society and backgrounds, responding to calls 24/7 and saving lives in their communities throughout Israel. Great job bringing these initiatives to light ! 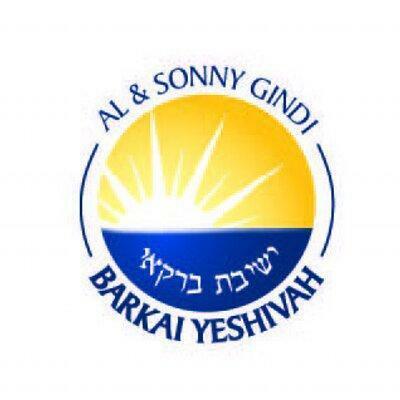 In Honor of Barkai's Hesed Coordinator Allison Bardavid. Keep up the great work!!! Marco levy , you did a incredible job raising so much money for a great cause. Im really proud of you and I hope you continue to do chesed. Money raised by marco levy. Keep it up Marco. Always do for others. Hesed is very important !!! We are proud of you.